Managers need to be able to analyze their leads in an easy and efficient way. They also need to be able to know where their business is at: what kind of service or product they are selling more, in what city or country, to what kind of company, where the leads are coming from, etc. They also need to be able to understand how their sales reps are working, be able to see what they have been selling, how, etc. 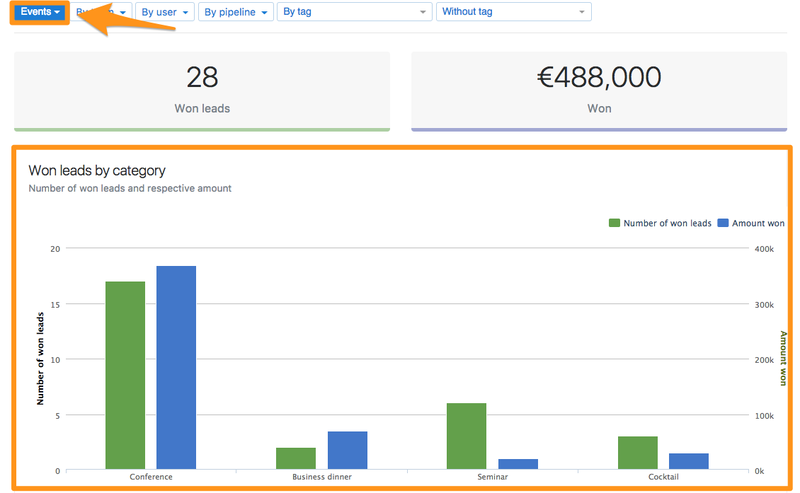 In no crm.io you are able to create Categories and Tags to structure your leads, but also to analyse your sales. In fact, if you go to the Statistics section of your account, you will be able to filter your statistics by Category, Tag and Salesperson too. Thus, you will be able to know what product your selling more but also what salesperson sold more products in a specific period of time for example.